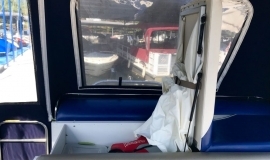 Very low hours and always covered and stored in a covered slip. 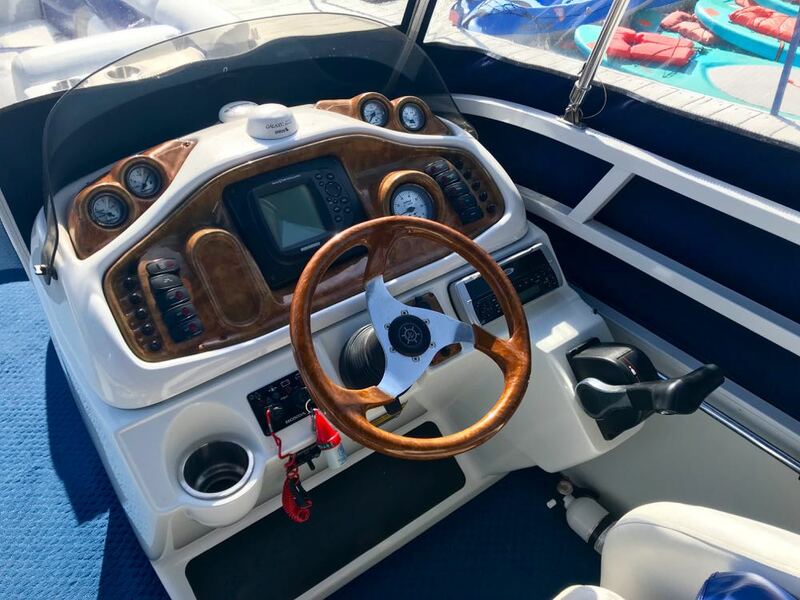 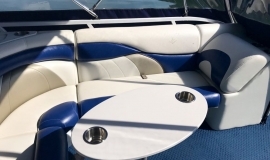 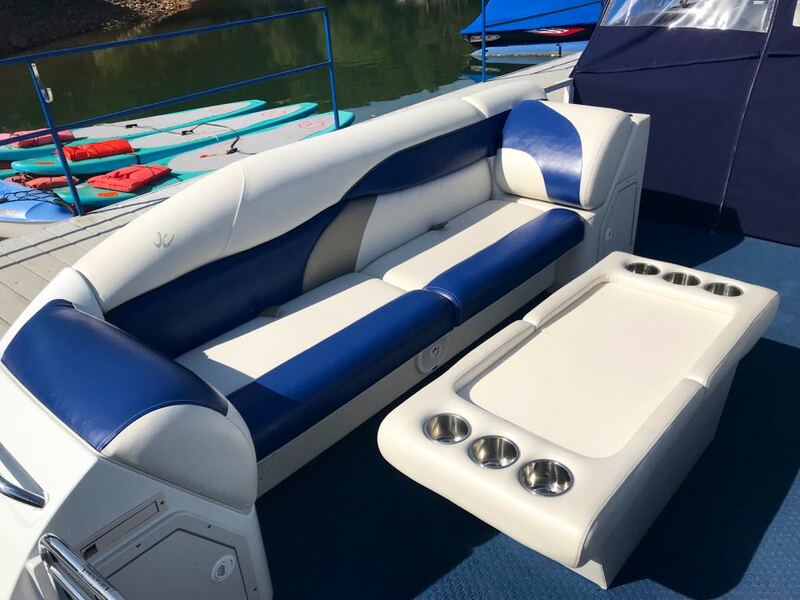 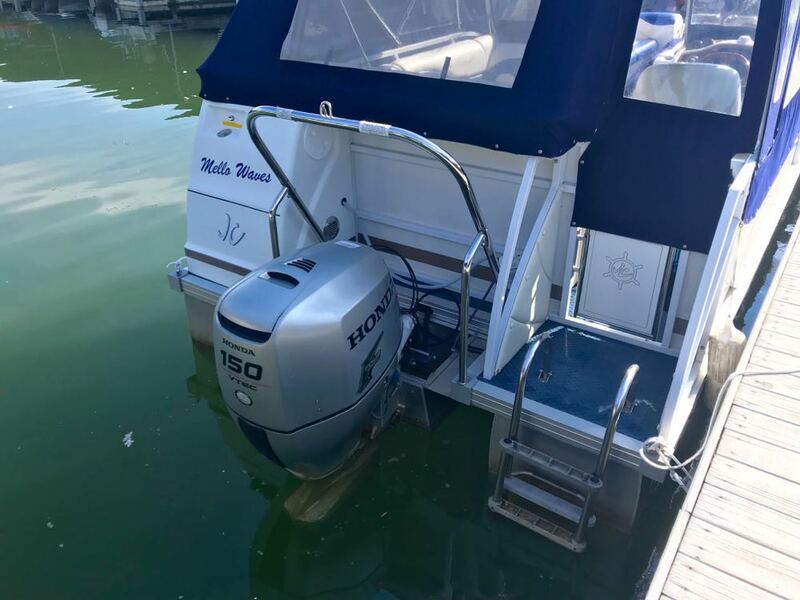 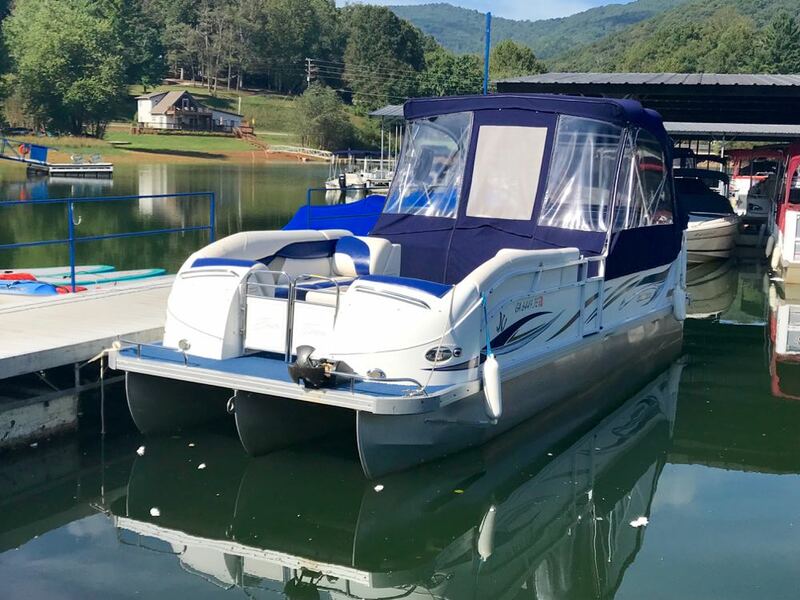 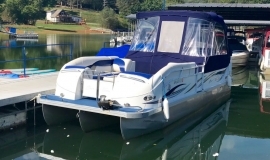 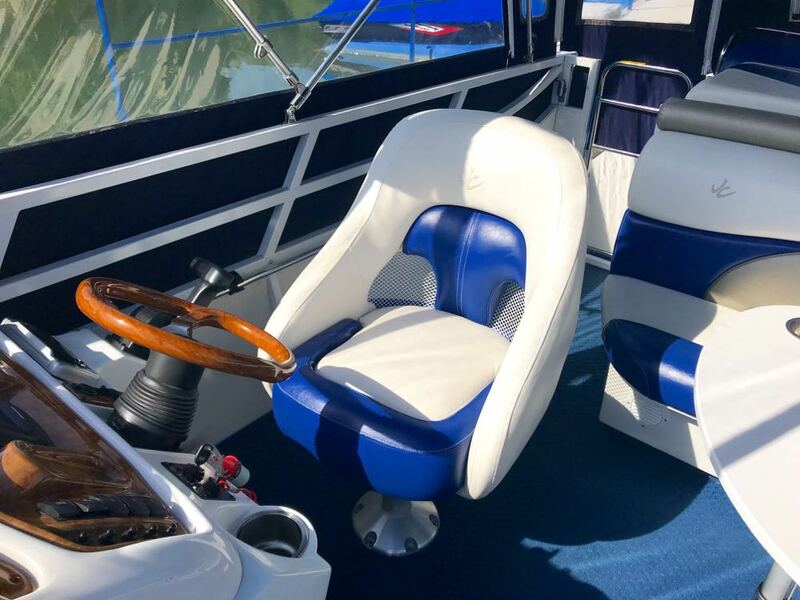 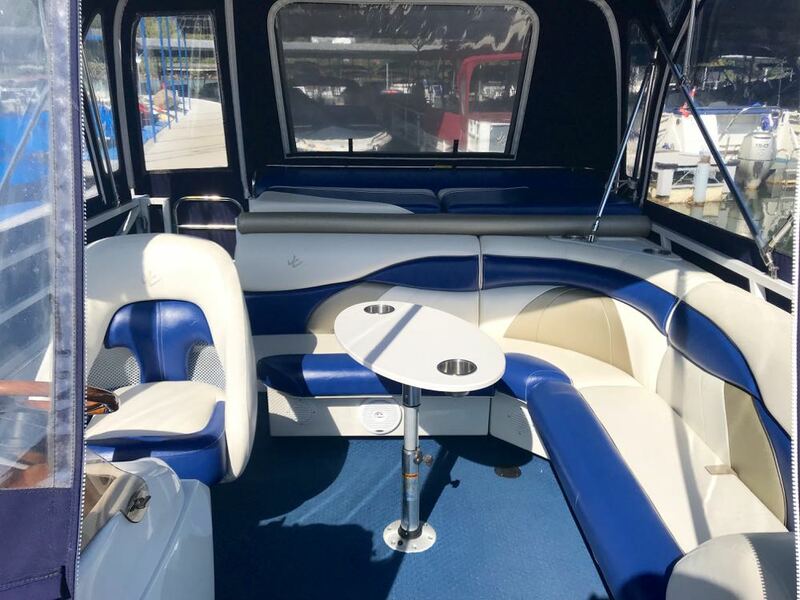 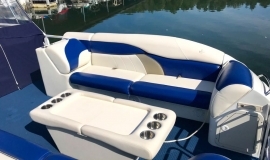 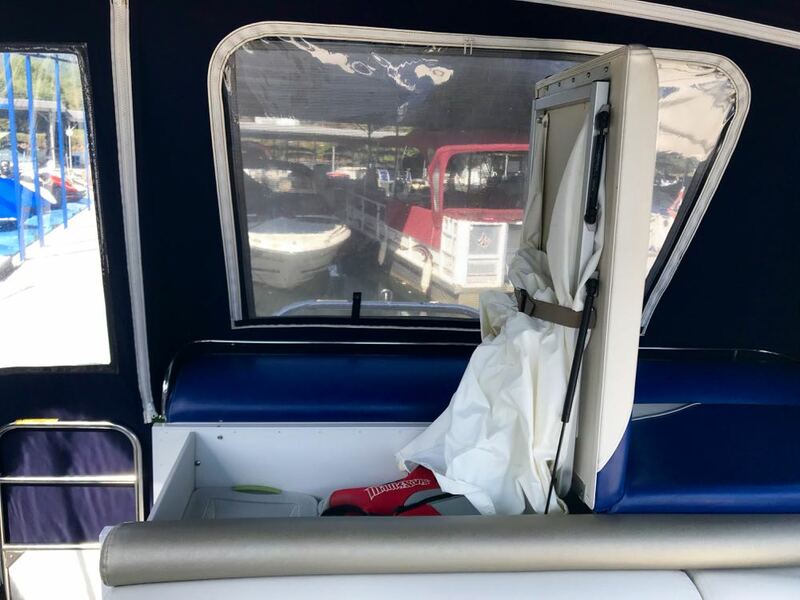 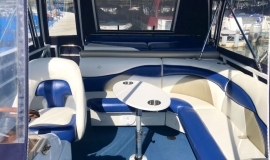 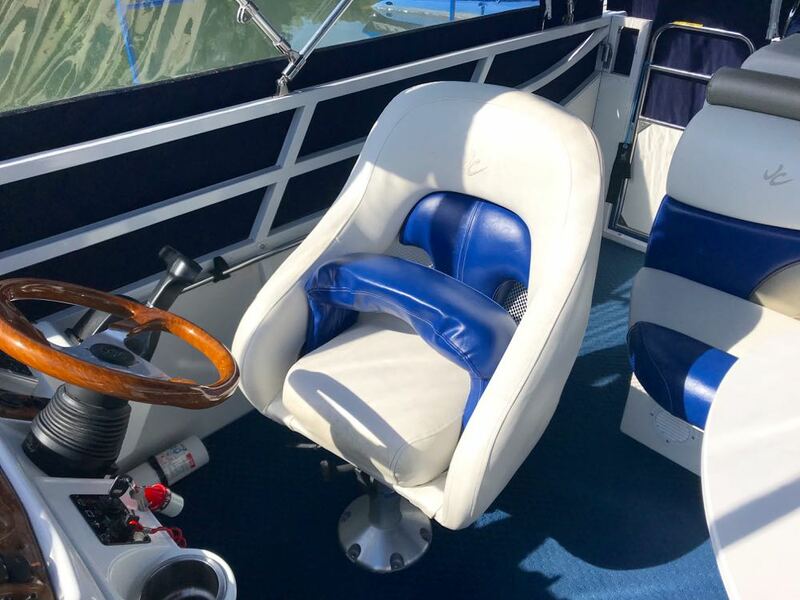 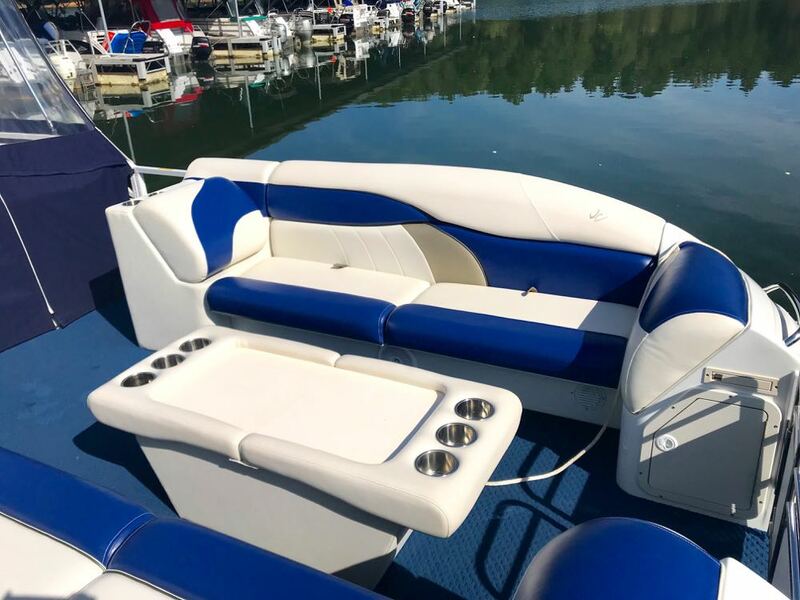 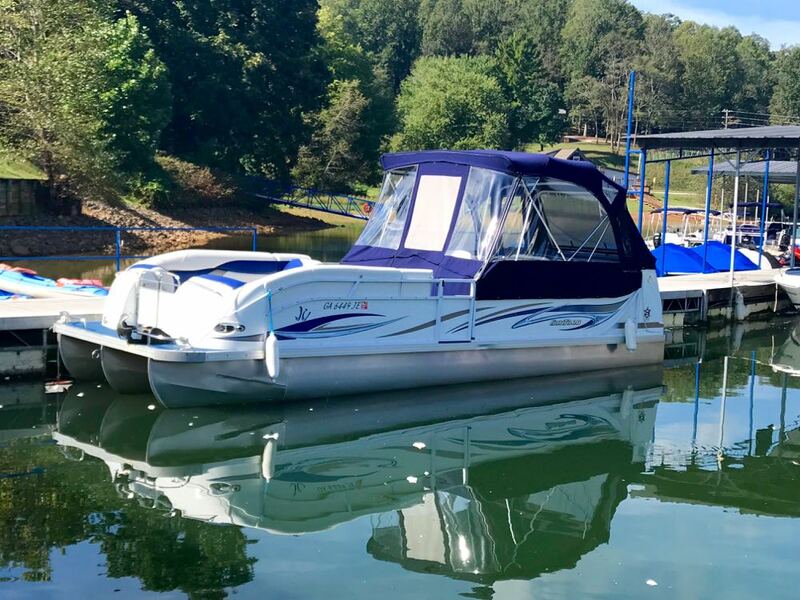 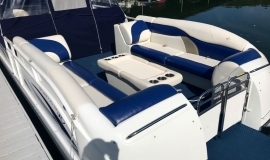 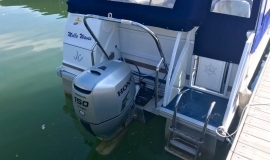 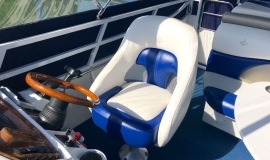 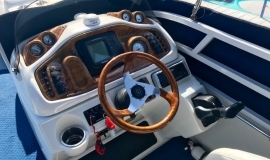 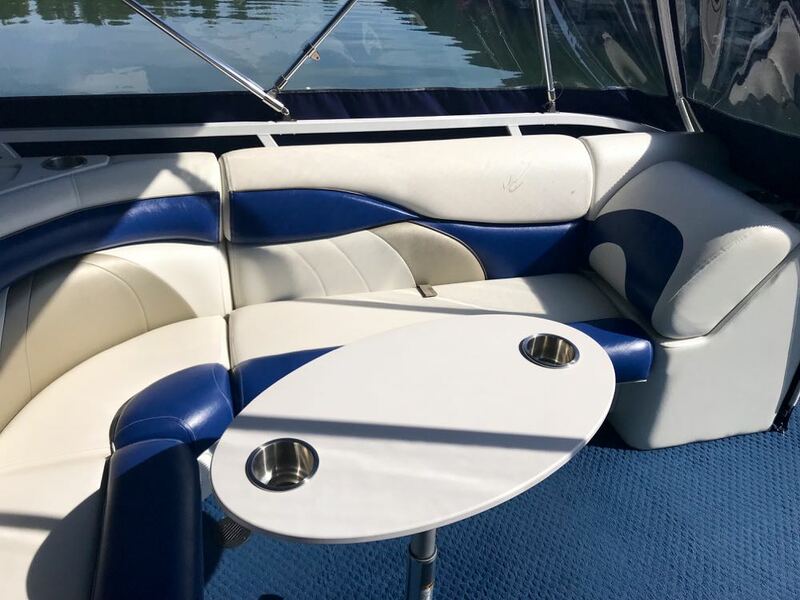 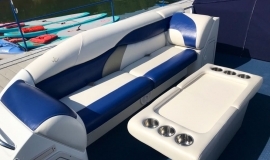 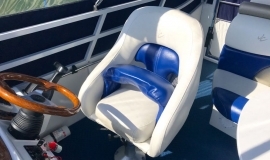 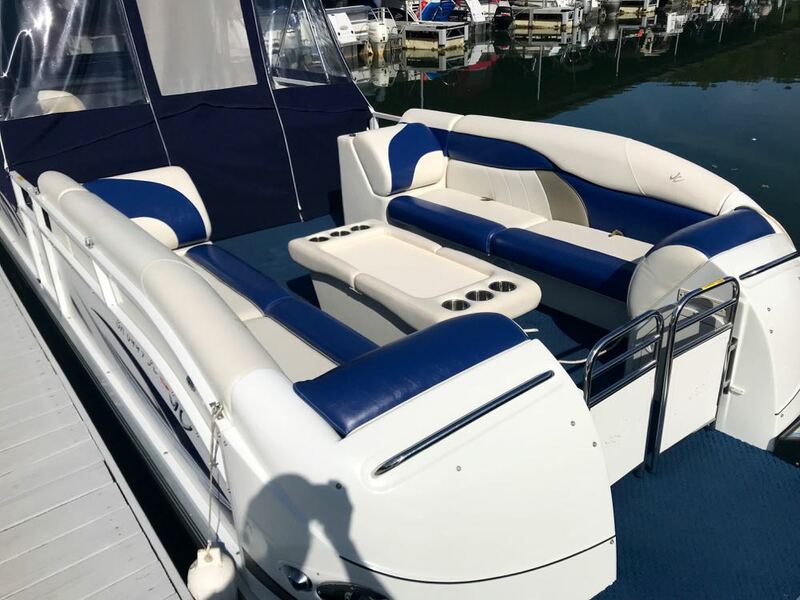 Features include: Honda 150 fuel injected 4-stroke with hydraulic steering, Custom Sunbrella enclosure with bow half mooring cover, free-standing table, flip-up changing room, Clarion stereo, GPS / depth finder, and Minn Kota anchor winch. 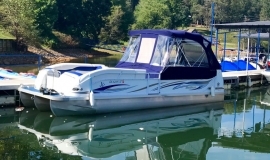 Trailer not included, but we do have new Wesco trailers available.